A lot of you are aware that Jersey Boys is one of my favourite shows of all time. I have been watching the London production pretty much from the start and a trip to Jersey is usually on the agenda when I fly over to London. After reviewing the new cast just a week after they had started in the show I thought it was time to look at the show again and give my views on the Jersey Boys and Girls after they have been performing on stage together for about 5 months. On this occasion the cast was led by Jon Lee as Frankie Valli. Now, I admit I have always been a Ryan girl when it comes to Frankie Valli in this show. But that doesn’t mean I don’t enjoy seeing a different Frankie now and then. I adored Jye Frasca’s Frankie and loved both Michael Conway and Dan Burton in the role when I saw them earlier this year. The problem with Frankie Valli is that the part itself is very one-dimensional for a lead role. The character hardly develops throughout the show. So to make the part interesting the actor playing Frankie needs to have a great stage presence, a brilliant voice and a ton of charisma. I think Jon Lee does fine in the acting department but just doesn’t have the voice for this part. He struggles with the high singing parts and often cuts notes short (the last one can be interpreted as a personal take on the songs but to me it sounds as if he simply can’t hold the notes long enough). And Frankie is a vocally demanding part so it’s no crime to have a problem with those incredibly hard vocals – only if you are alternate Frankie Valli you should be able to deliver the falsetto bits or – if your voice just isn’t suited to that – just adapt the singing accordingly. Jye Frasca did just that by singing parts of the songs just that tiny bit lower and it worked perfectly. I know a lot of people really rate Jon Lee’s Frankie but I have to say personally his take on the role bores me. He doesn’t manage to interest me in anything Frankie says or does. So I have to say his Frankie just isn’t for me. Ben Wheeler was on for Tommy at this show. What can I say? He was my very first Tommy back in 2008 and I completely adore his take on the role. Ben’s Tommy is the perfect mix of flirty and dangerous and with him no show is ever exactly like the other. Ben keeps changing little bits of his performance which is wonderful for a returning visitor to the show. You can see that he does everything to keep the part fresh and interesting. I love Jon Boydon’s and Mark Isherwood’s Tommy and also loved Glenn Carter in the part but if I had to choose my number one Tommy of all time Ben would definitely win the gold medal. His take on the part is diverse and I just need to look at him to know what Tommy is thinking at that exact moment. 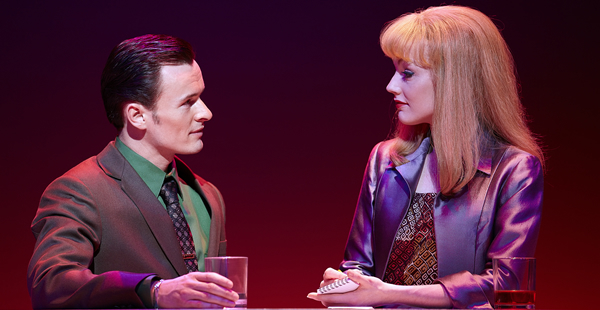 Bob Gaudio is played by Matt Wycliffe who has taken over from Stephen Ashfield in 2011. I admit Stephen’s Bob will always be impossible to top for me but Matt has definitely made the part his own. He has a brilliant voice and I love how his Bob goes from that slightly insecure boy to the confident man who stands up against Tommy. He manages to portray the change in Bob Gaudio’s behaviour and personality perfectly. Plus he comes across as the nice boy next door which makes the audience fall in love with him straight away. Eugene McCoy’s Nick Massi is funny, there’s no doubt about that. And his take on the part has grown on me by now. I still prefer Nick to be more reserved but then I am definitely biased because I adored Philip Bulcock’s Nick and no one will ever manage to convince me that there is a better way to play that part. The audience clearly loves Eugene which is wonderful. He has his own unique way of playing the part and I do enjoy seeing him on stage. When I want to be reminded of how Nick should be played in my opinion I can always watch the show when Mark Isherwood is on for the part as his Nick is almost similar to Philip’s Nick. Nicola Brazil does a wonderful job as Mary Delgado. Her Mary is feisty yet vulnerable at the same time. Trina Hill has really grown into her role. Her Francine is less tough now and I really enjoy her take on “My boyfriend’s back”. I’m still not happy with Howard Jones as Bob Crewe. In my eyes he is just wrong for the part and doesn’t look comfortable on stage. His Bob Crewe is played for the jokes and nothing else and lacks the authority and dignity the character needs (and deserves) to have. Dan Burton has to be the most confident performer in history (I’m exaggerating here but that’s what it looks like). His Joey Pesci was brilliant right from the start and he’s managed to become even better over the past months. And he never shows the slightest hint of nerves. I still love having Tee Jaye back in the show. His Barry is wonderfully entertaining and his facial expressions are priceless. Special mention for Mark Isherwood who was on for Donnie at this show. No matter what part he plays he always manages to draw my attention to him. 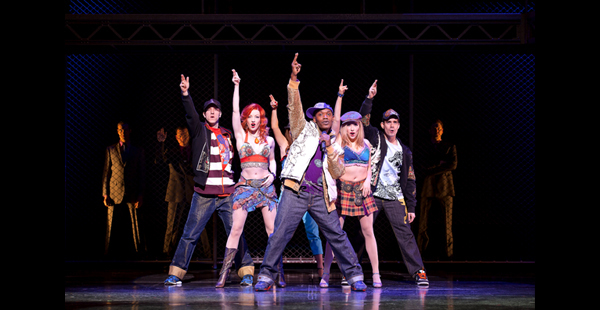 The man oozes charisma on stage no matter if he’s playing Tommy, Nick or the third guy on the left in the ensemble. The rest of the cast did a great job. It’s especially nice to see how much Chris Gardner has developed as Hank in the last 1,5 years. Mark Carroll was on for Gyp de Carlo and while I do prefer to see Stuart in that part Mark did a great job. What’s left to say? I love the Jersey Boys! I have seen casts come and go over the years and I will always have my favourites in all the different parts. But the show itself remains one of the slickest productions I have seen in my 15+ years of theatre going. 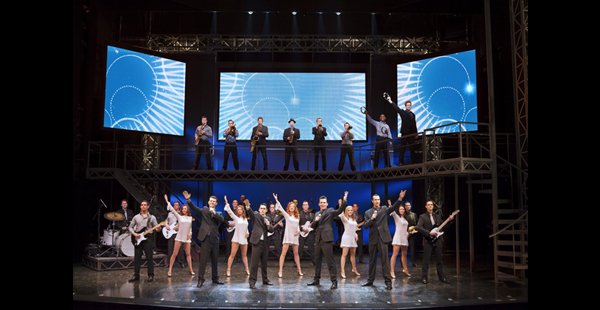 Go and see Jersey Boys at the Prince Edward Theatre. For more info and to book tickets go to http://www.jerseyboyslondon.com/.